The year 1884 was a good one for J. H. Schneider and the residents of the Tenth Ward, an area of the west side which today comprises much of the southeastern part of the Detroit Shoreway neighborhood. 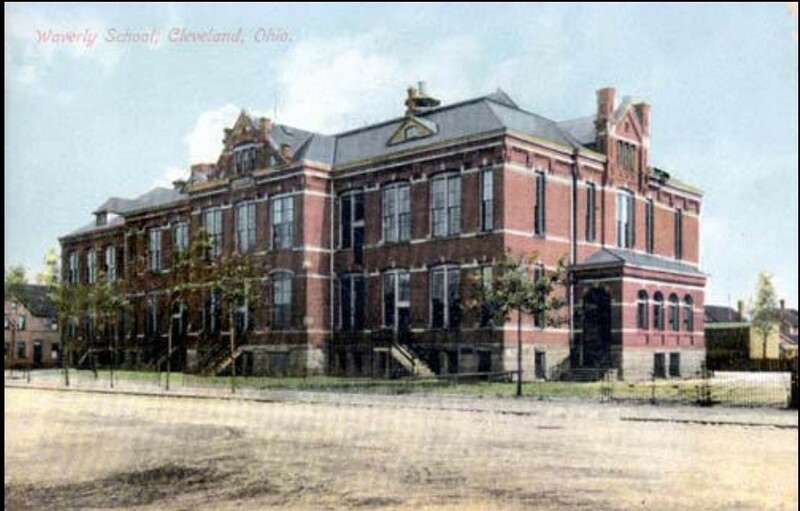 That year, Schneider, the Cleveland Board of Education member elected from the Tenth Ward, not only saw the successful completion of the building of the new West High School in his ward at the corner of Bridge and Randall Streets, but also that of the new elementary school on Waverly Avenue (today, West 58th Street), between Fir and Bayne (now Wakefield) Streets. It was the first public elementary school built in the Tenth Ward, and became the neighborhood school for many students who formerly had to leave the ward to attend Detroit School in the Eighth Ward on what is today the corner of Detroit Avenue and West 49th Street. 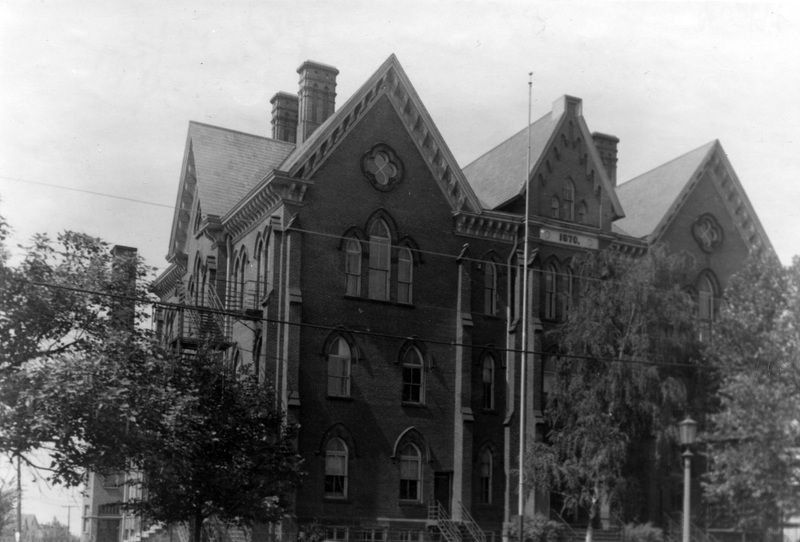 The new school building, named "Waverly" after the street on which it was built, was designed by John Eisenmann, architect for the Cleveland Board of Education from 1883-1889. He is also notable as the man who designed The Arcade in downtown Cleveland. His Waverly School building was two stories in height. It had an exterior facade of red brick. There were 12 classrooms in the building, which included a basement which doubled as a playground when bad weather prevented the school children from going outside. Girls played on one side of the basement; boys on the other. Over the years, many west side children attended Waverly including Cleveland Housing Court Judge Raymond L. Pianka, who attended the K-6 school from 1956 to 1963. 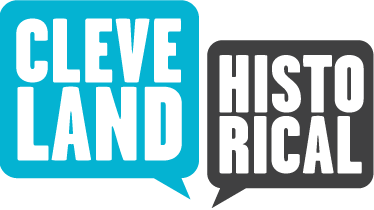 By the time he went to school there, the fortunes of the neighborhood had begun to decline as Cleveland experienced the devastating economic adjustments of deindustrialization in the second half of the twentieth century. Ray went to school with many children who lived in poverty or near poverty. In a 2005 interview, Judge Pianka related a story which graphically illustrated the point. As he told it, on one occasion local health officials came to Waverly Elementary and talked to his class about the importance of brushing their teeth. One official asked how many kids had toothbrushes. About one-half the class raised their hands. Then the official asked, how many kids had their OWN toothbrush. Only about ten-percent raised their hands. 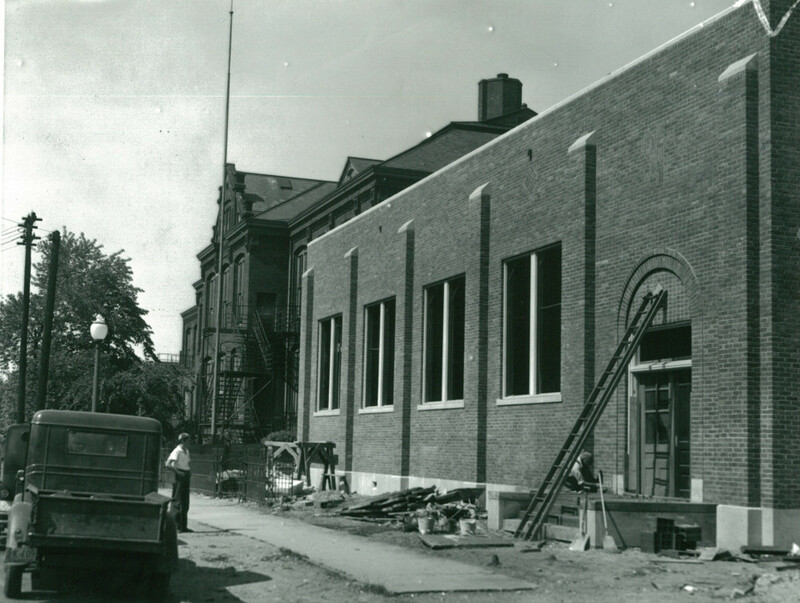 By the time that Ray Pianka attended Waverly, additions had already been constructed onto the north and south sides of original building, the first (on the north side) by 1912, and the second larger addition (on the south side) by 1932. So when Ray attended the school, it was considerably larger than the original 12-room structure. Nevertheless, though larger, it was also a very old school building. In 1979, it was torn down and a new Waverly Elementary School built on West 54th Street, between Franklin Boulevard and Bridge Avenue. There was some irony in this relocation of the school given the fact that it had been named for the street upon which its first building was erected. In 2015, the Cleveland Board of Education announced plans to demolish Waverly Elementary School on West 54th Street and construct a new school building on the site. When completed, it will be the third building in the history of the Cleveland school system bearing the name "Waverly." 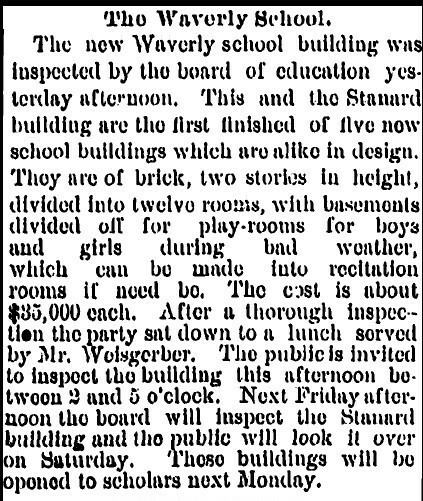 Waverly Elementary School was named for the street upon which its first school building sat. 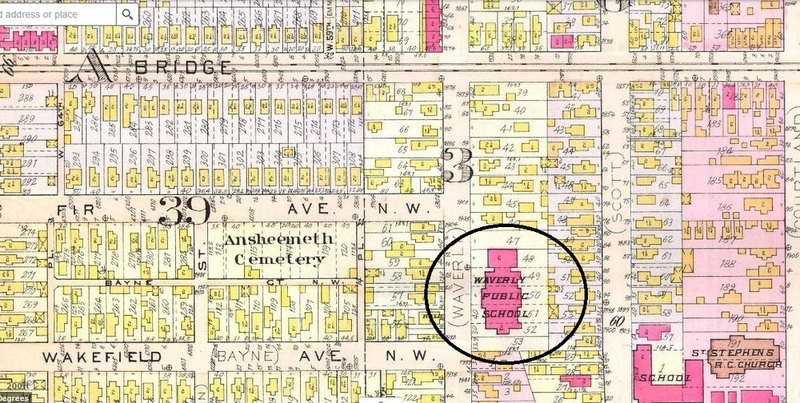 In 1906, the street's name was changed from Waverly to West 58th. 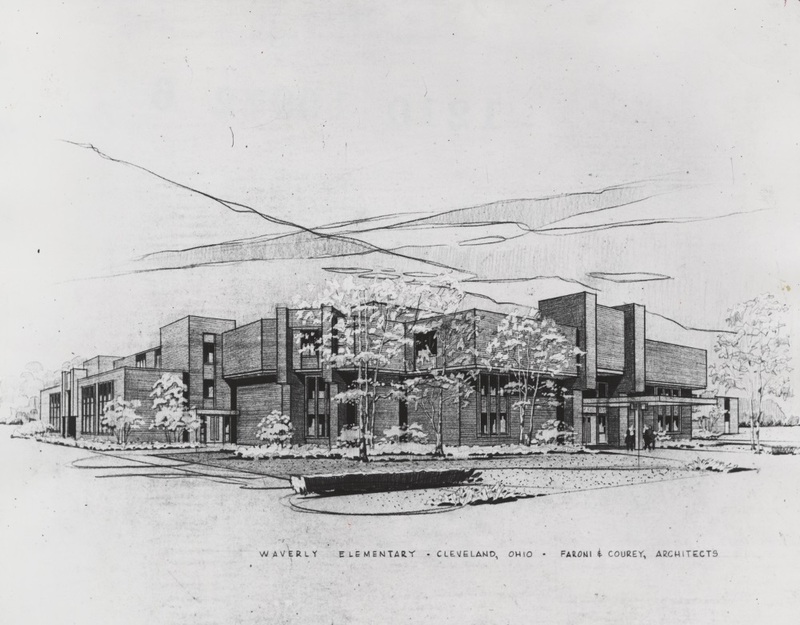 Jim Dubelko, “Waverly Elementary School,” Cleveland Historical, accessed April 23, 2019, https://clevelandhistorical.org/items/show/801. Published on May 31, 2017. Last updated on Jun 23, 2017.